FNB Bank offers many types of loans that are designed to meet your individual and business needs. Getting ready to purchase a new or used automobile, a boat, recreational vehicle, mobile home? Or to refurnish your home or take that special vacation? If so, you’ll want to find out more about our installment loans. Competitive rates are just part of the story. We’ll help you match the term of the loan to your budget. For added convenience, you may make your payments at any FNB Bank office or we can charge your Checking, Savings or Money Market account directly. An unsecured-revolving personal line of credit that is available to you when you need it. Once the line is in place, all you do is write a check when you need money. You can pay the amount back in payments or a lump sum, which makes the funds available to you again; whenever you need them, up to your maximum approved line. Just like a credit card — Only Better! Disability – Disability insurance is a type of insurance that can provide coverage for loan payments in the event a covered borrower is unable to perform their work and earn money due to a disability. Life – Life insurance can provide coverage for the balance of your loan in the event of death of an insured individual. Consumer loans available at all FNB Bank locations. 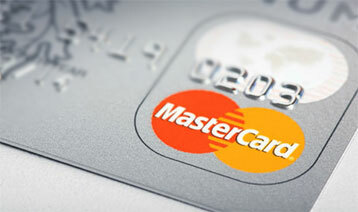 FNB Bank continually monitors lists received concerning debit card security breaches. If your debit card has been compromised, FNB will notify you concerning the reissue of your card.